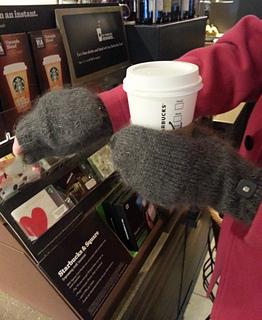 A classic, perfectly detailed pair of flip-top mittens. 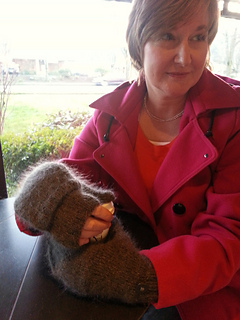 The Flip Flap Mittens are written for 2 sizes but each size fits a variety of hands well (e.g. the small size fits most women). 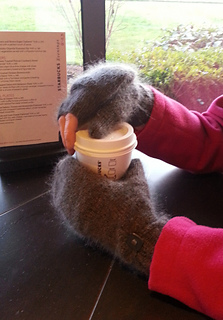 The unique thumb design, slightly smaller inner fingerless mitten and slightly larger outer mitten makes these accommodating to different hand sizes and shapes while being very comfortable & cozy to wear. You won’t want to take them off!